After all these years, I still haven't been to the ICA. Mostly because I'm not a huge fan of Contemporary art. When I do have time to go to a museum, I almost always end up at the MFA. This may be a good reason to swing by though. 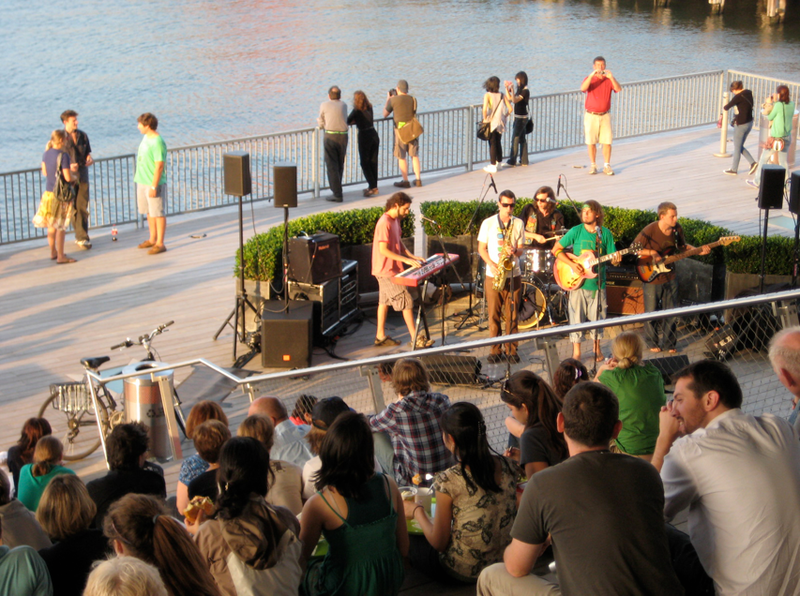 Starting this Thursday, HarborWalk Sounds will provide a series of free concerts at the ICA. The Institute of Contemporary Art/Boston (ICA) once again partners with the world-renowned Berklee College of Music to present HarborWalk Sounds, a wildly popular series of free summer concerts on the Boston waterfront. Showcasing some of the best new talent Berklee has to offer, HarborWalk Sounds takes place on the ICA’s stunning Putnam Investments Plaza (100 Northern Ave, Boston) from 6 – 8:30 p.m. on Target Free Thursday Nights in July and August. Relax on the harbor with a delicious drink from the ICA Water Café and hot sounds from the coolest music school around. 0 Response to "HarborWalk Sounds on Thursdays - Starts 7/8"